The Sultanate of Oman, long regarded as one of the more mysterious countries of the Arabian Peninsula, has only recently opened its doors to tourists. An ancient land, with a rich history, dramatic landscape, and diverse flora and fauna, Oman was largely cut off from the modern world until the accession to the throne of Sultan Qaboos in 1970. Since then this peaceful country has developed slowly but deliberately, placing a strong emphasis on retaining its cultural heritage while moving into the high-tech era. Oman is home to Ibadhism, a conservative but moderate form of Islam that is quite distinct from both the Sunni and the Shi’a denominations. In Oman, the family comes before all else. People place great value on the time they can spend at home, and in relaxing and socializing with friends. Their gentle pace of life contrasts strongly with life in the West, and is reflected in the way they conduct business. Traditional Arabic culture coexists cheerfully with all the trappings of modern life. 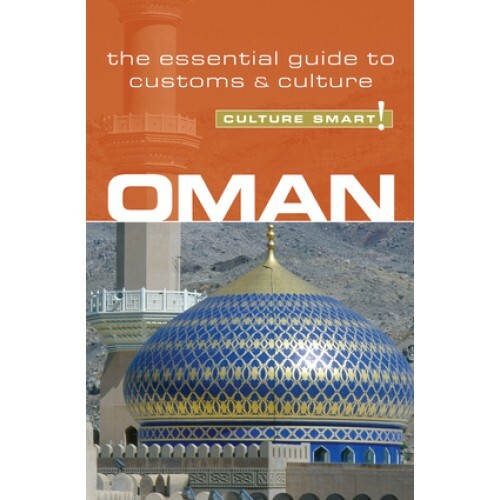 By examining the values, customs, and traditions of this distinctly Arabic country, Culture Smart! Oman offers an insight into modern Omani life and culture—how they work and live, both in business and at home, and how they are reacting to their new influx of foreign visitors. Whether you visit Oman for business or to explore its unique landscape, you will find the Omanis to be a gentle, warm, and hospitable people, who are happy to show their beautiful country to those who treat it with respect. Ahlan wa sahlan bikum fi Oman! “Welcome to Oman!"